The Swift School of Pharmacy is one amongst the many successful ventures of Swift Group of Colleges which has a reputation for pioneering in pursuit of academic excellence. The pharmaceutical industry is one of the fastest growing sectors with India becoming a destination for pharmaceutical and clinical trials. A career in the field of pharmaceutical sciences therefore holds tremendous promise for opportunities globally. 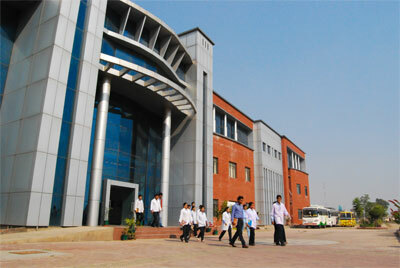 The state-of-the-art infrastructure and instructional facilities of the institute includes well- equipped laboratories, voluminous library, spacious lecture halls, hostels, ATM, canteen, playground, etc., All this makes the institute a conducive place for learning that provides students with quality education in clean and comfortable environment. Swift School of Pharmacy is affiliated to IKGPTU (Jalandhar), MRSPTU (Bhathinda) and is amongst top ranking colleges in Punjab. I feel very happy to see that Swift School of Pharmacy has grown impressively in both size and reputation and has become the preferred choice for many among all other self-financing institutes affiliated to IKGPTU. The B.Pharm course is approved by the All India Council for Technical Education (AICTE) and Pharmacy Council of India (PCI). New Delhi. Affiliated to Punjab Technical University. Jalandhar and Recognized by the Government of Punjab. To Introduce M.Pharm Courses in Emerging Areas. To Organize Continuing Pharmacy Education Programmes. To Facilitate the Turnout of Quality Pharmacy Graduates. As Drug Inspectors in FDA/Drug Control Department, etc. At Swift School of Pharmacy, we nurture students to meet and overcome the health challenges of today and tomorrow. The Swift School of Pharmacy is committed to provide value based quality education and ensure that the teaching-learning process is interactive and fruitful. We whole heartedly welcome all the aspiring and brilliant students to this Institute and wish them a highly exciting and rewarding professional career.